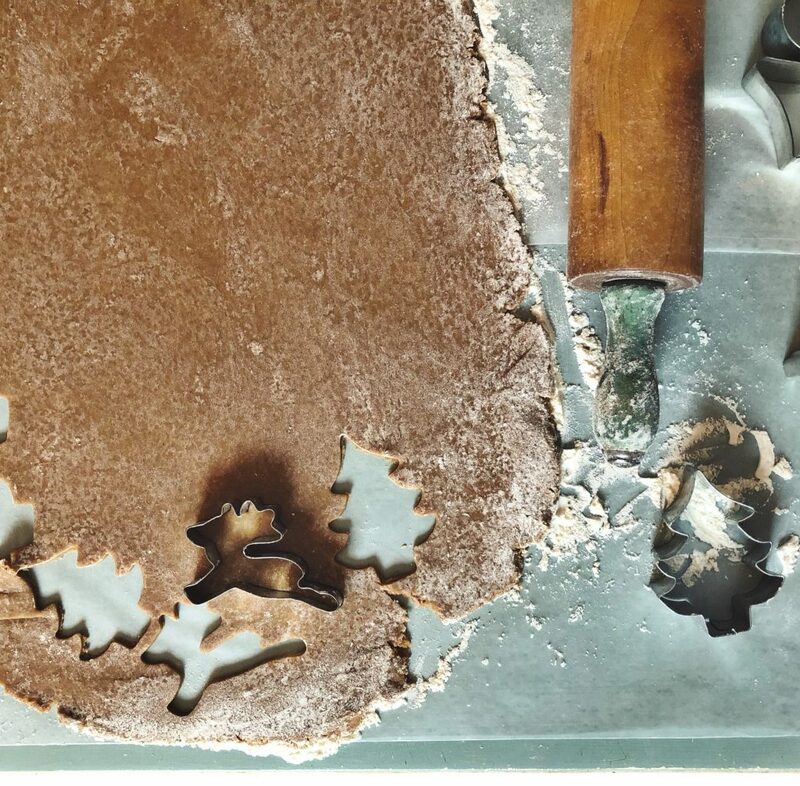 These cut-out Christmas cookies are simple and no icing required! They are the perfect paring with a winter’s afternoon cup of tea. 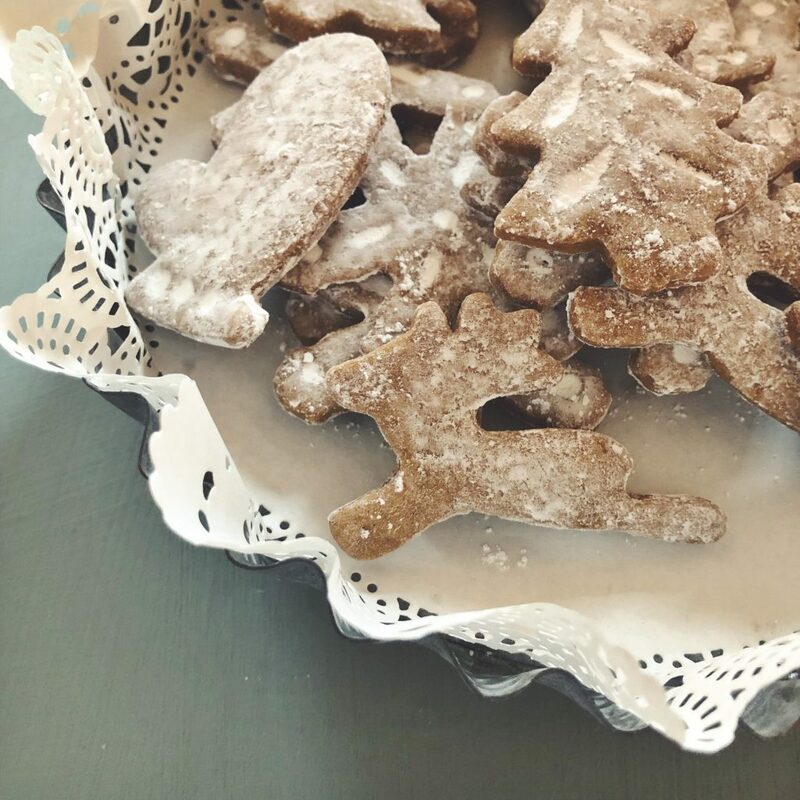 They add festivity to any cookie plate and are even easy to make ahead! So go ahead and bake these up and enjoy every last little crumble. In a large bowl whisk together the flour, ginger, baking powder, salt, clove, cinnamon, and nutmeg until well combined; set aside. In a very large bowl beat together the butter, brown sugar, and molasses with an electric mixer on high speed until light and fluffy. Add egg; beat until smooth and combined. Add half the flour mixture; beat until just combined. Add milk; beat until just combined. Add remaining flour mixture; beat until just combined. Using your hands, knead dough until smooth; divide in half. If dough is too warm to work with, wrap each dough half with plastic wrap; chill 30 minutes. If it’s workable, roll and cut into desired shapes and then chill cookies for 30 minutes before baking. Bake 8-10 minutes depending on the size of your cookies. Remove from oven and allow to cool on baking sheet for 2 minutes before moving to a cooling rack, to cool completely. 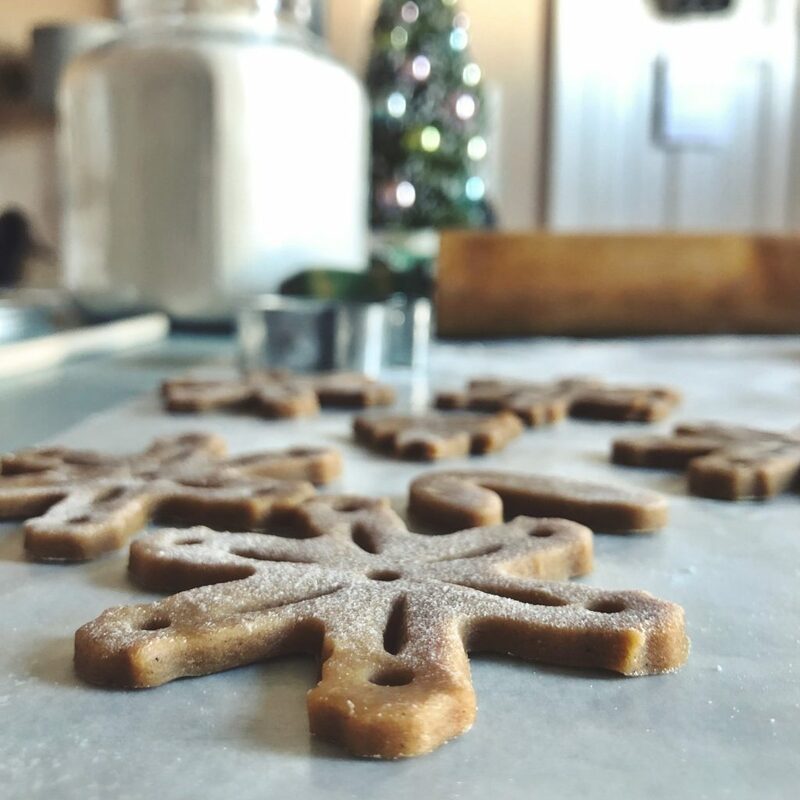 Once cookies are completely cooled, sprinkle powdered sugar over cookies; gently rub in for snowy effect. Makes up to 72 servings; depending on your cookie cutter size and shape.